This worksheet is about summer. 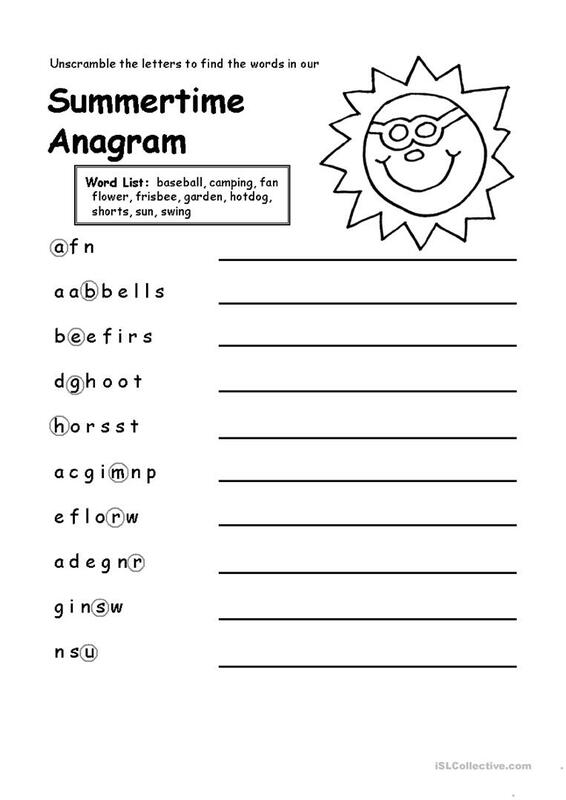 Students have to put the letters in the correct order and create new words about summer. The present downloadable worksheet is best suited for elementary school students at Beginner (pre-A1) level. It is a valuable material for developing your groups' Writing skills. It centers around the theme of Summer.